(Bozeman, Mt.) Friday afternoon at 4:25 p.m. the Sheriff’s Office received a report of an injured snowboarder in the area South of Hyalite Reservoir. Sheriff’s Search & Rescue, Rae Sourdough Fire and AMR responded to the call. The injured snowboarder was a 22 year old male from Bozeman that had been boarding with four others in a popular area near the Window Rock Cabin known for its natural jumps. During a jump the skier landed wrong and injured his back. Initial responders located the injured male and were able to stabilize and warm him until further assistance arrived. 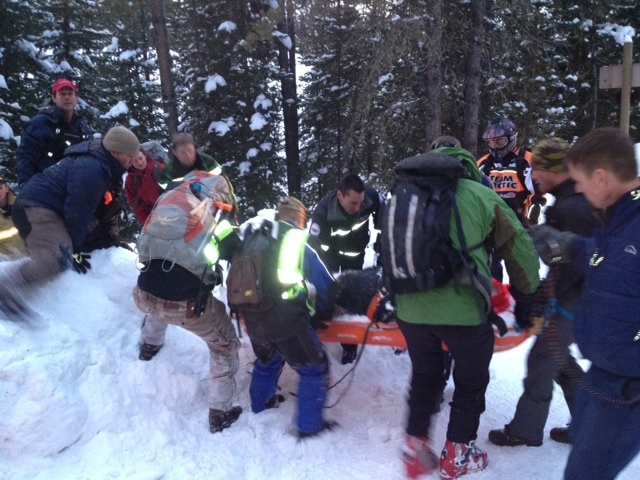 Search & Rescue and Rae Sourdough personnel moved the skier with a transport sled approximately two tenths of a mile through waist deep snow to Hyalite Road. 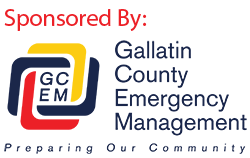 The skier was then turned over to AMR and transported to Bozeman Deaconess Hospital.